HAVE YOU BEEN POSTPONING THE OPPORTUNITY TO OWN YOUR OWN HOME? I AM NOT A REAL ESTATE GUY. I am a wise business-man who decided to invest in real estate by negotiating to get cheap prices for various plots of land around the IBEJU-LEKKI & EPE, LAGOS MAINLAND axis and then get seasoned real-estate professionals to get me reliable people who need assistance in sorting themselves out. This was my exact situation five years ago. I sat down and told myself the truth. At this rate, I will be left with Ogun State as an option because everywhere was fast developing in Lagos State. I decided to make a move and bought some properties along the IBEJU-LEKKI, ELEKO AXIS. These properties tripled in worth and are well worth over N100Million naira as I speak. Listen, Land is the only resource that ALWAYS bounces back even when there is a down-time in the property investment space. I need to tell you this. Are you outside the country? Do you live outside Lagos? Do Not be scared to invest in properties in Lagos State! We will take care of every necessary documentation, get your property to a level and set-up a gate and then hand over your keys to whoever you inform us to. Fill the form below and we will call you within 12 hours. Click Here OR Call/Send a Whatsapp Message to +2347066663071. Liverppool continue their fabulous run to return on-top of the table with away goals from Gini Wijnaldum in 57mins and James Milner penalty strike in 81mins, After a goalless draw in first half. battle of survival as “Cardiff, Brighton and Southampton battle it out to avoid relegation zone”. Jurgen kloop commend the boys for the team spirit and confident they shown. Last season Liverpool was behind man-city with 25points and this season they have manage close the gap by reaching 88points to show they are serious contenders owing to the wonderful season they have ascertain even if they don’t win the league. Kloop men have three more games as they prepare to host Huddersfield at (home) then taking Newscattle (away)and hosting wolves at (home). Manchester united will hosting the formal champions at the Old Traffold as they are tipped to stop the formal champions but their woeful form brings doubt to all Liverpool fans. 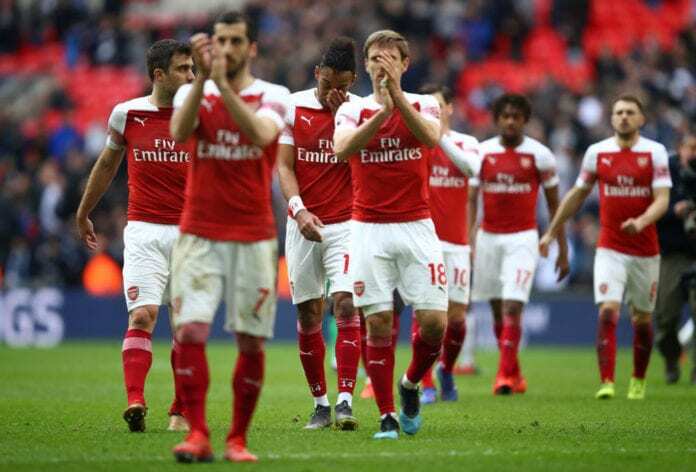 Meanwhile, The gunner lost the advantage to seal their place in the top four spot by losing to crystal palace as they fight tightens.